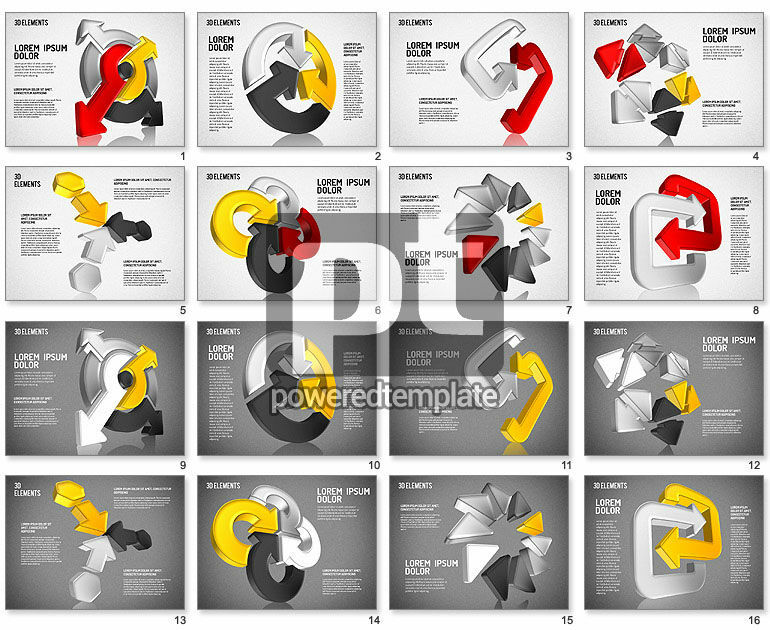 These presentation slides 42499 are complete compatible with Google Slides. Simple download PPTX and open the template in Google Slides. It is a fabulous colorful template with various 3D arrows of different shapes and colors, connected between each other. You may use this stylish template for visualization of your data in various presentations related to connections, interactions, alternatives, correlations, step by step actions, directions and ways of development in many spheres of business, network, media, education and others.